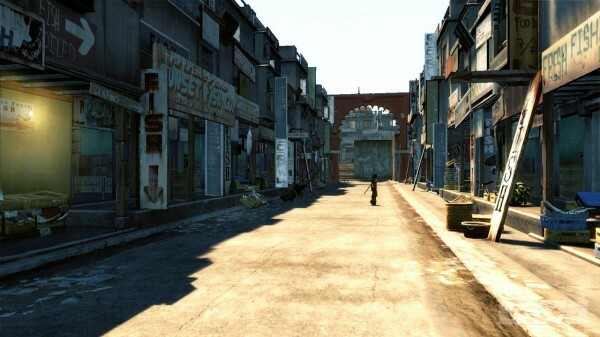 ‘All Games Beta’ has managed to grab, what it claims to be, an in game screen shot of Beyond Good & Evil 2. Beyond Good & Evil 2 was announced at E3 2008 but has since gone MIA with only another leaked trailer popping out in 2009. Ubisoft has since stated the game was officially on hold, but then went on to admit the game was still in fact in development with the reasons for the delay being creative freedom. Alec Meer, the creative designer behind BG&E, has assured fans that the game is still alive and is being tailored for the next generation. The ironic thing behind all this is how it’s being treated like some sort of conspiracy. I mean, is it still alive? Or has it turned into vaporware? The game’s heroine, Jade, is a journalist who goes around with her trusty cam exposing the truth. With all these leaked trailers and leaked in-game footage, you would have to wonder: Is Ubisoft trying some viral marketing campaign? Or are they just holding us up? Let’s hope that we get some clarity this E3 2012. And whenever that faithful day comes, you can bet I’ll be there ready to take down some baddies with my staff and trust sidekick pig-friend! It seems Unseen64 have unearthed a video demonstrating BG&E2 breathtaking engine. According to them, the video is from 2009 and seems to match the location from the screen shot above.